After being designed by architect Frank Lloyd Wright, Murdoch and Ogden's house is rocked by an explosion that claims a man's life. Ogden enlists Murdoch to investigate possible sabotage in the operating room after a patient dies during a routine medical procedure..
Murdoch, Ogden, Crabtree and Brackenreid attend Higgins’ and Ruth Newsome’s wedding, but a guest repeatedly tries to kill the groom. Anti-immigrant laws lead to the arrests of Greek men, and Brackenreid regrets releasing his carpenter when he’s suspected of murder. Murdoch impersonates a dead diplomat to save a treaty, but political and sexual intrigue complicate matters. Murdoch investigates an astronomical phenomenon with a strange impact on his colleagues’ behavior and dire implications for Toronto. Watts kills a man in self-defense, then Murdoch uncovers the victim’s criminal past. When a wealthy, high society couple are found drowned in their pool in an apparent double suicide, Murdoch suspects murder. Brackenreid helps a friend in the case of a missing woman and learns he's closer to the case than he thought. As Murdoch helps an Italian detective recover a shipload of stolen antiquities, Brackenreid considers shipping out. Murdoch's distressing childhood memories are evoked while investigating the death of an orphan under the care of the same Jesuit priest who taught him. 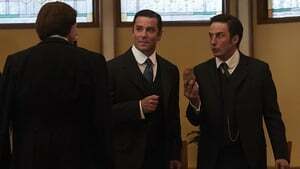 Inventor Nikola Tesla assists Murdoch in an investigation into the death of a man experimenting with invisibility. Murdoch investigates an apparent arson death, and reveals a personal history in the process.